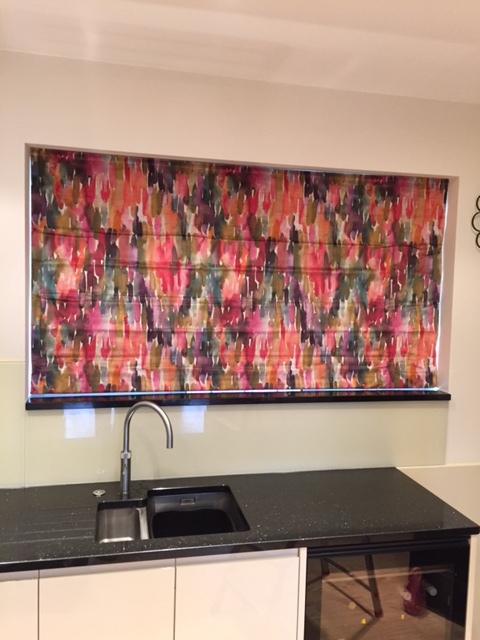 The customer had recently had the majority of their house re-decorated and was looking for blinds for some bedrooms and the kitchen dining area. The kitchen was a modern layout with neutral colours throughout so they were hoping to find something to add a splash of colour and make a statement at the windows. The bedroom blinds were to tie into the colours the rooms were painted. 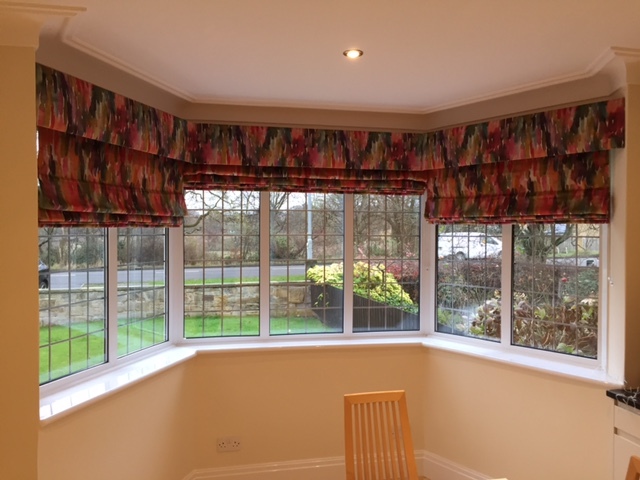 We were able to show a vast choice of roman blind fabrics which the customer looked through and selected some suitable for the bedrooms quite quickly. The kitchen dining area which was their main project took them a little longer as although they found many fabrics they liked they really wanted to make a big visual impact. 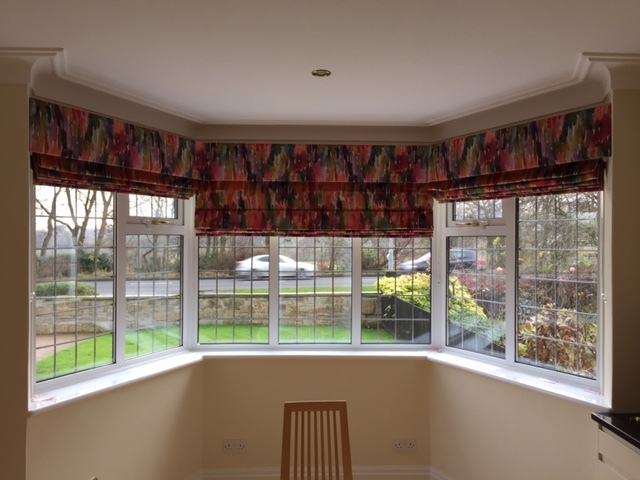 In the end they supplied their own fabric which we were able to manufacture into roman blinds for them and also create some pelmets to go above the bay window to finish it off. "I was a bit nervous about putting something so vibrant in a fairly plain room but I was confident I was making the right decision and the room needed that lift with colour. I was right and I love the look it gives the whole room. 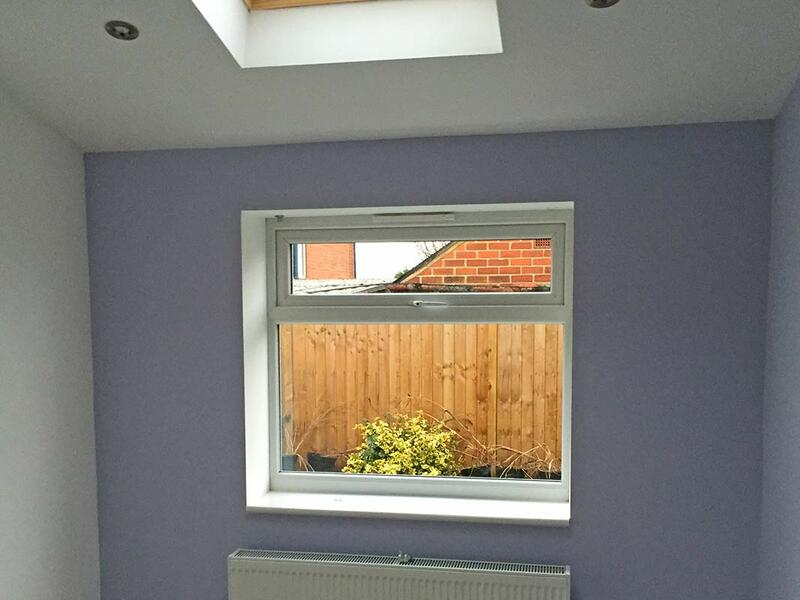 It really makes the room finished, a look that I wouldn't of had any chance of creating with a cream blind". 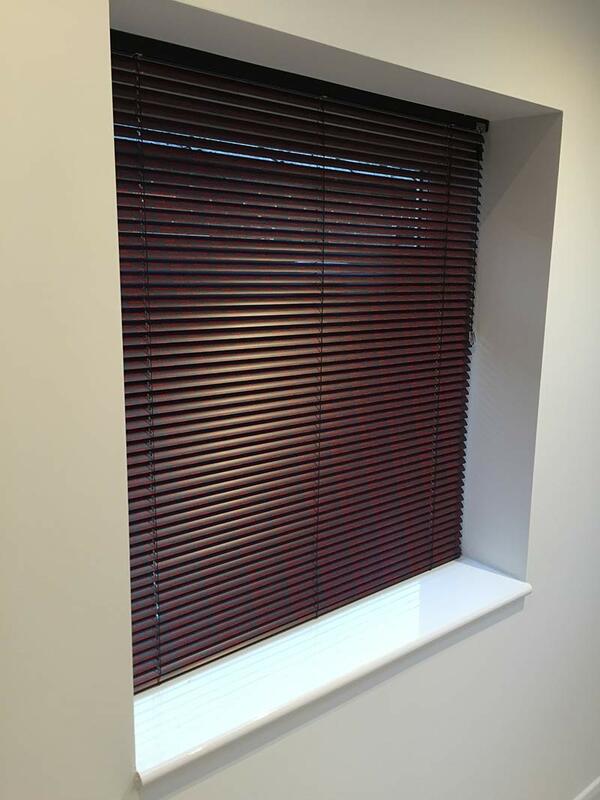 Vertical blinds on windows and Perfect Fit Venetians on the doors. 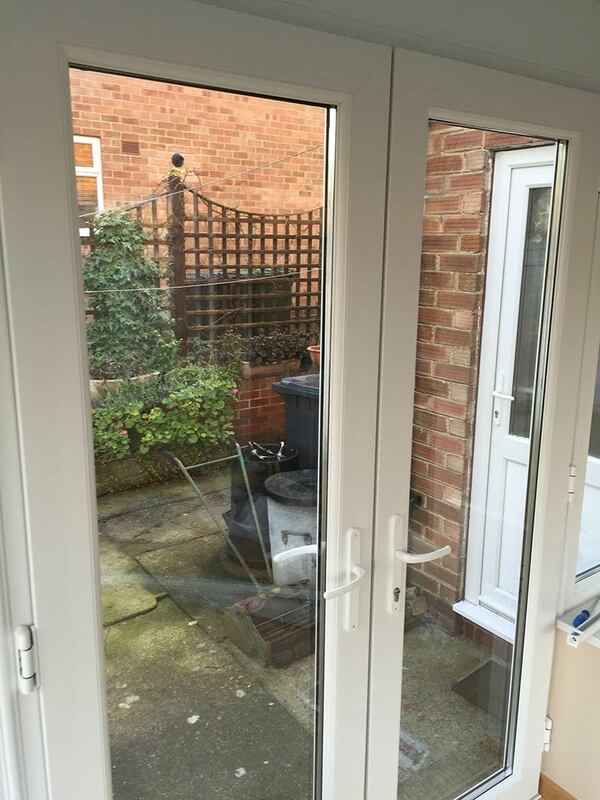 The customer contact us to find a solution to his conservatory that was built a few months ago in Horsforth Leeds, but left unused due to being too hot in the summer and too cold in the winter. They wanted to space to become more usable all year round and feel more homely instead of being in a greenhouse. 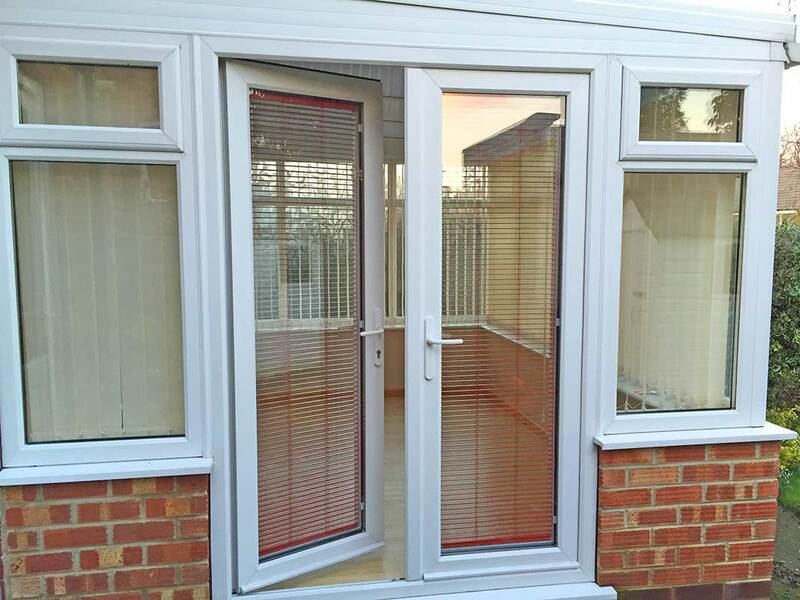 He also had some full height glazed patio doors which in the summer he would like to use without the blinds getting in the way. 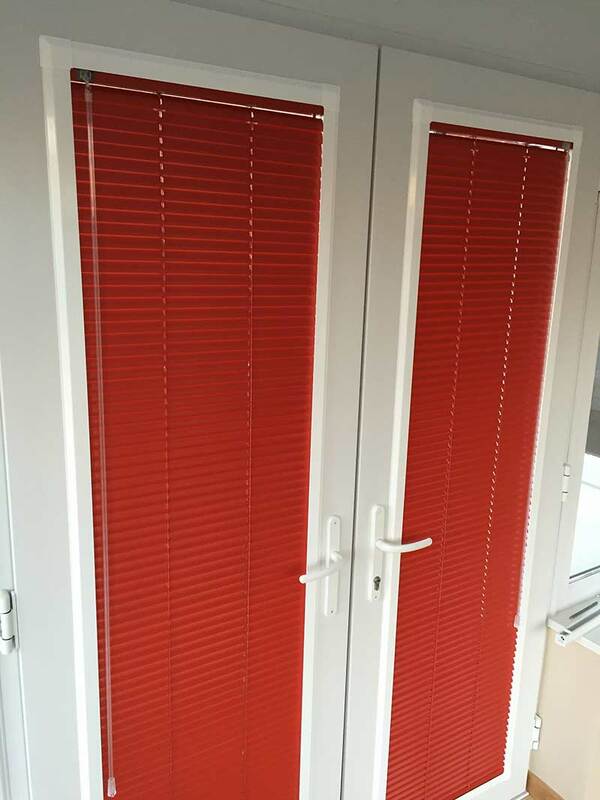 We have supplied the customer with vertical blinds on all the windows in his chosen colour except for the doors where we decided the best solution was to fit a perfect fit so it became part of the door when opening resulting in no cords or parts of the blinds getting in the way. He decided to go for a warm but neutral colour for the vertical blinds which went with his decor but kept the feeling of space in the room. The Venetians on the doors he chose a bold red which he plans to compliment in the room with a matching lampshade and cushions. Since putting the blinds up at the window it not only feels more comfortable and homely but it has been able to hold the heat in longer this winter. 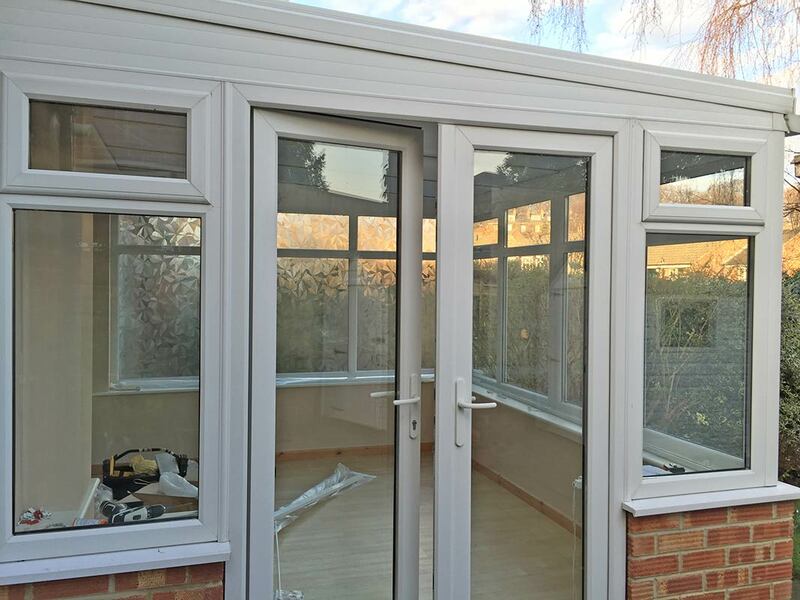 "I am so happy that I can now finally think about using my conservatory which up to now has become a storage room apart from the occasional day in the autumn. I plan to now finish of the interior with some kind of seating and soft furnishing to complement my new blinds". 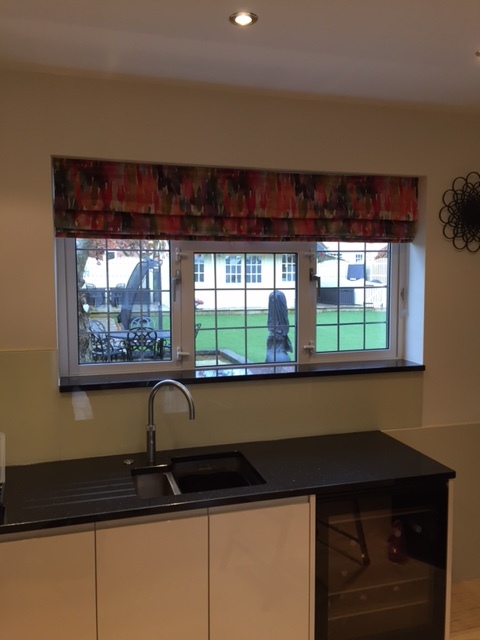 The customer had recently completed a large project to extend the back of their property to create a modern and usable kitchen diner for her and her husband. 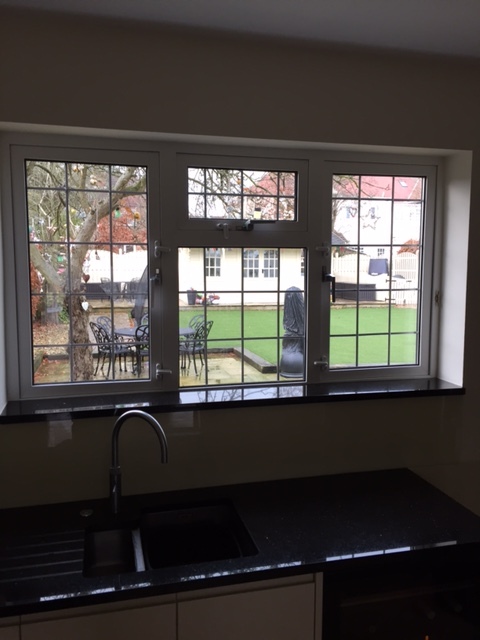 The extension had allowed for a modern kitchen to be installed and created an extra two windows in the dining area of the room along with the existing one over the sink. 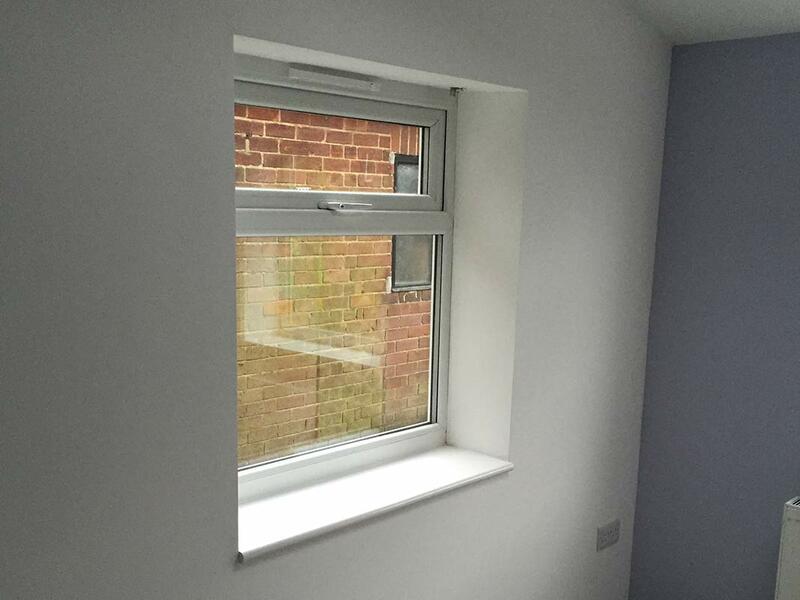 She felt it was important to treat it all as one room and carry on the modern, clean and stylish look to the windows. 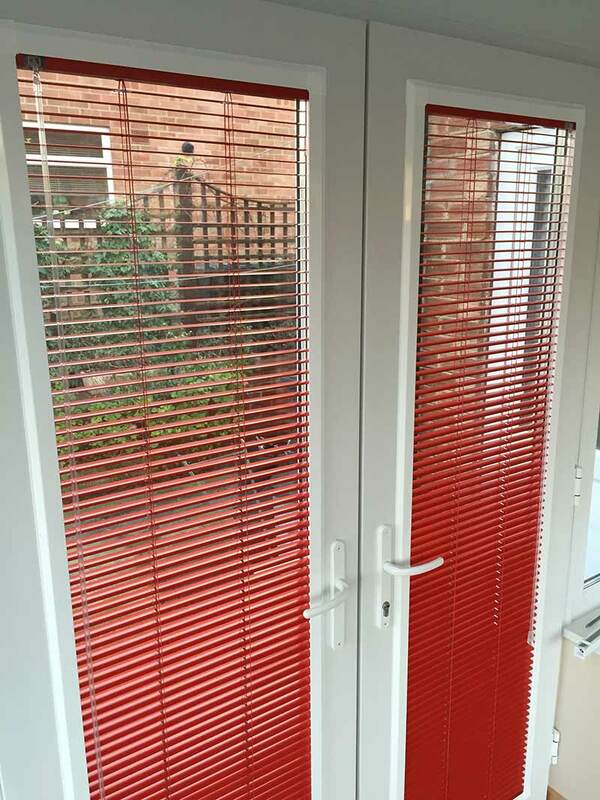 Together with the customer we decided to install 25mm Venetian blinds as she felt they were the type of blind that best matched the clean lined, modern kitchen units. It also allowed them to not only raise the blind up completely when more light is required but also to angle the slating if it was in the lowered position. The colour chosen was a modern pattern instead of a block colour which not only picked out the colour of her new kettle, toaster etc but gave the window a bit of extra interest. 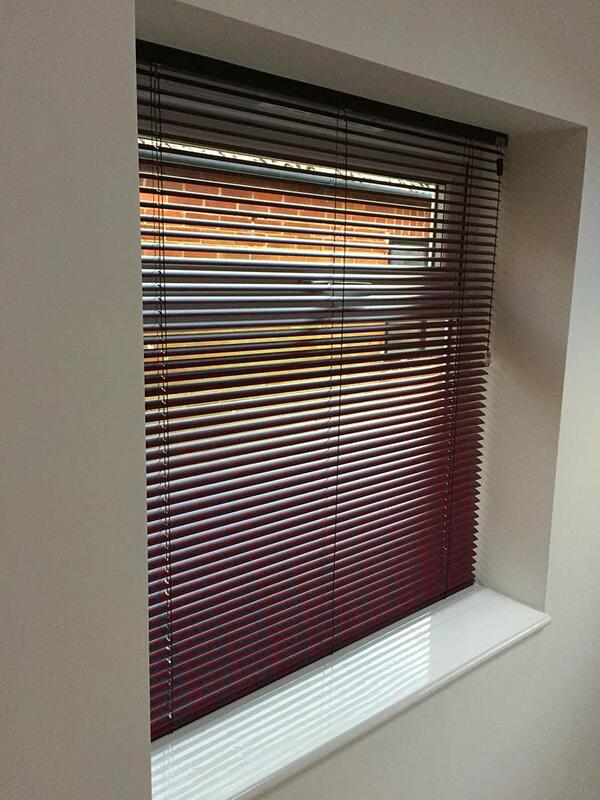 "I'm over the moon with my choice of Venetian blinds now they are installed. I was definite on the type of blind but feared i had been too bold with the design id chosen. I am glad i did go ahead with this design though as i feel it gives the kitchen that finishing look and carried on the modern theme id been trying to bring in. 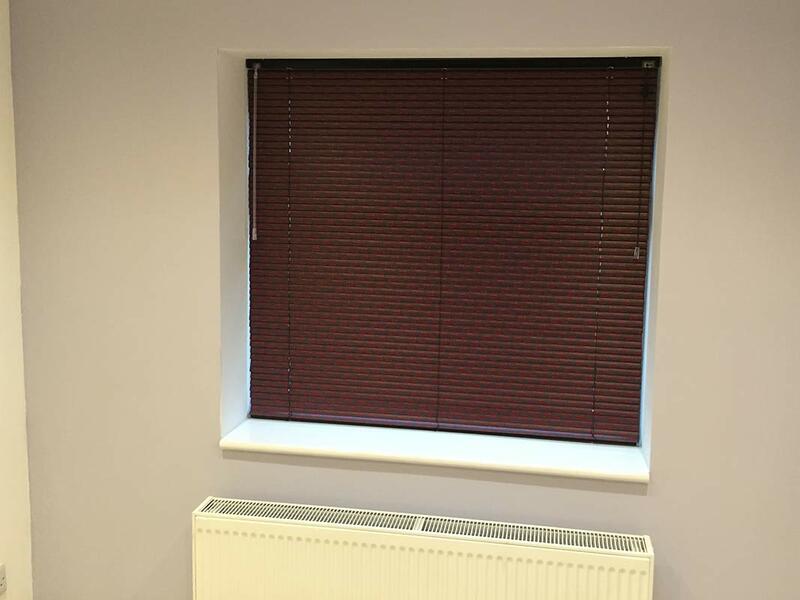 I would definitely recommend Crescent Blinds to anyone and also take on board their advice as they can help you imagine how different ideas work in your rooms."